Here are 7 simple trap type cubicle pranks you can use. I commonly run into problems when the traps I use are too elaborate. Elaborate traps tend to require a great deal of precision in the setup phase to succeed. Hence, I prefer to use simple but effective traps. The following 7 traps are quite easy to setup. Set this trap up by chalking up the front seat of the pants and the undersides of the table. Your victim is likely to come into contact with the front of the seat at least. It's a bonus if your victim rubs his or her legs against the underside AND sides of the table. You can use different colors of chalk, depending on your victim's pants or leg skin color (whichever should come into contact with the chalk). For black furniture and light clothing, you can also consider using soot or charcoal. Enjoy the spectacle when your victim gets stained by your trap. Who'd expect salt to flow out of a pen? This cubicle prank works on click type pens that have opaque bodies. 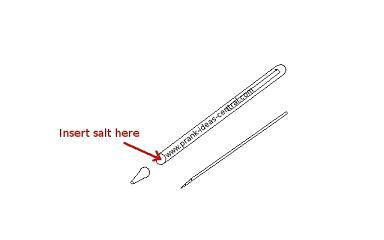 To setup, remove the pen head (optional - remove the inner ink tube) and fill the gaps inside with salt. Recap the pen head and lay the pen horizontally on the table. Wipe off any excess salt. When your victim picks up the pen, the salt should flow out from the tip. This cubicle prank works best when the target's phone is black or white. 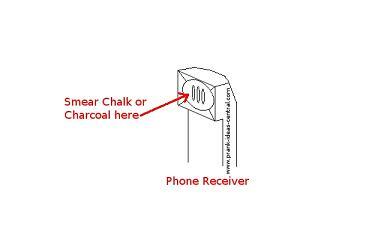 If it's a black phone, lightly smear charcoal on the earpiece and replace the phone. If it's white, use chalk instead. If it's in another color, try using Vaseline, but tape the earpiece hole first. Chances are your victim will pick up the phone without looking at the earpiece, and get an earful of whatever stuff you decide to put on the receiver :). Grab a shipping box and cut out the bottom, as shown by the box on the left in the picture. 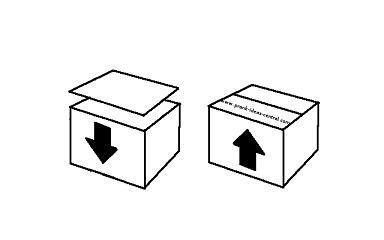 Place it top-side up on the floor in your victim's cubicle, as shown by the box on the right. Fill it with your choice of filling and seal it. You can use packing nuts, or fill it up with grains like rice or popcorn seeds. Your victim will probably pick it up to move it only to find the contents falling out of the bottom! Purchase a few inexpensive alarm clocks, and set the alarms 10 minutes apart. Hide them in various locations in your victim's cube. Put one in the drawer, another taped or 'velcroed' under the table, yet another taped under the chair, and another behind the computer monitor. Enjoy watching your victim try to locate the clocks as they go off one by one. b) the string lengths are long enough to be able to place the item at the back of the desk. Check that the strings are not obvious when viewed from the front. When your victim pulls out the chair, the tied items will fly off. Works best on a messy desk. Take a cup of water. Press down the seat cushion with your hand and pour the water into the cushion. If there are wet stains, try to make the stain as even as possible. Chances are your victim won't notice that the seat is wet until it's too late. 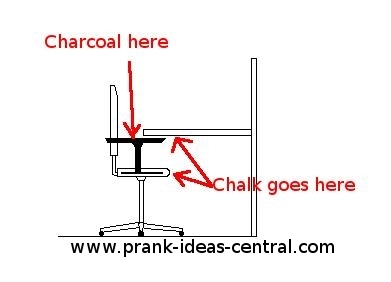 This cubicle prank works only on seats with fabric cushioning.